Believe it or not when it comes to a 1031 exchange the tax system is actually on our side as a real estate investor, but you must know the 1031 exchange rules to maximize the strategy. 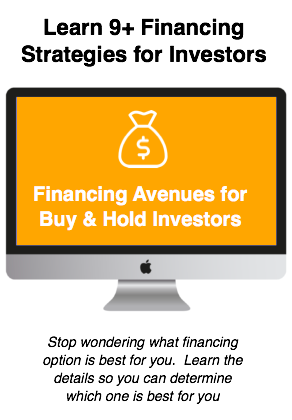 The government and the IRS (at the time of writing this) allow investors the opportunity to grow their portfolios and defer paying capital gains tax so profits from sales can be re-invested into new, bigger properties. Under Section 1031 of the IRC code a 1031 exchange is classified as a like-kind exchange of property for investors. Basically what happens is when you sell a property that was a true investment property, whatever gains (profit) you make on that property requires you to pay capital gains tax due after the sale of the property. With a 1031 exchange, after your property is sold you can take the proceeds from the sale of property A and you can roll them into a purchase of property B and essentially defer that tax until a later date. Meaning that all of the proceeds the you made from the sale of property A can be utilized in the purchase and acquisition of your next like-kind property. As an owner of an investment and/or business property you can qualify for this exchange and avoid paying taxes at the current time of sale. 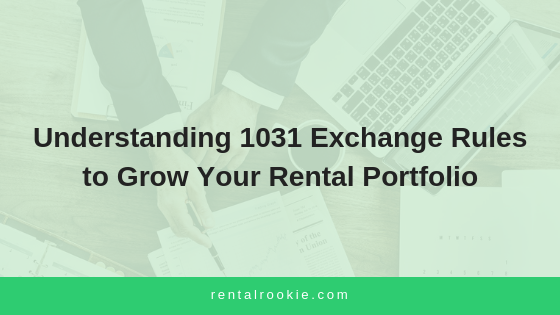 When it comes to completing a 1031 like kind exchange there are particular timelines that you need to be aware of and adhere to in order for the process to go smoothly. Once you decide that you would like to utilize a 1031 exchange I recommend sitting down and really looking at the timelines of selling property, finding new property and making offers. Once you sell your property, you’re going to want to be ready to take action so there’s no chance of missing the deadlines. The first deadline you need to be aware of is the 45 day window you have in order to identify potential replacement properties. From the day of sale of your current property, you have 45 days to identify 3 potential replacement properties. This is one of the reasons I mentioned earlier the you will want to sit down before you even start this process and ensure that you have potential properties to go after. What you don’t want to happen is you sell your current property, plan to use this exchange and can’t find any replacement properties. Or you do find potential replacement properties, however, you lose out on offers or contracts fall through and before you know it you’re 45 days in and not able to use this strategy. You want to be able to take action on those properties right away in case you have any issues with contracts, appraisals, inspections, etc. That way if the first three properties you identify don’t work, you’re still in the 45 day window and can identify 3 new potential replacement properties. As long as you are in that 45 day window you can change out potential replacement properties. Once you hit 45 days, though, you’re stuck with those 3 that you identified. Once you’ve identified your three potential replacement properties (in the first 45 days) and you get one, or more, under contract you then have a total of 180 days to close on the property. To be clear, this is 180 days from the day of sale of your previous property. The 180 days doesn’t start after the initial 45 day window, they run concurrently together throughout this process. While this is a great strategy for growing your rental business, time can work against you so you want to plan accordingly. We recently completed our very first 1031 exchange and I want to share a few of the things that we learned along the way to ensure that the process is a smooth and easy one for you. I think it’s important to note that when we started this process we had no past experience using this investment strategy. We learned simply through doing and asking questions and are here to report to you the key things we learned along the way. We almost made this mistake and boy would we have regretted it. When going through a 1031 exchange you may not accept the funds from the sale of your first property and hold them until you buy the replacement property. You must hire a third party company (referred to as a Qualified Intermediary) who will hold the funds throughout the sale and purchase of your new property. Upon buying the new property, they will transfer the funds to the title company or attorney handling the closing. The paperwork trail that you must complete throughout this process will be submitted to this intermediary as well. So, if you’re planning on going down this route be sure to do your research in finding a Qualified intermediary before you sell the property. FYI…we used one that wasn’t even located in our state. With the internet, it was easy to do it from afar. I’m not sure what we expected going into the entire process, but overall it was easy and smooth. The paperwork that you must complete as a part of the exchange is minimal and the timelines are pretty easy to follow. The fact that you aren’t in charge of holding the money takes one less thing off of your plate as the investor. You can focus on finding, identifying and buying that next property to upgrade your rental portfolio. The key is having all of your ducks in a line when you sell your property from the start so you aren’t running up against the deadlines. 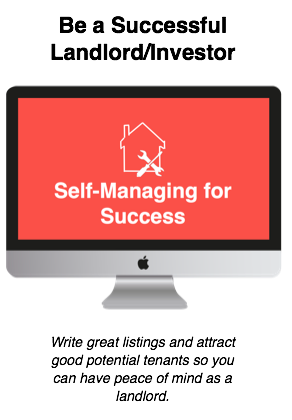 Overall, the process was a simple one that allowed us to take our gains from the sale of our very first rental property and roll them into the acquisition of two additional properties to add to our portfolio without having to pay tax. Excellent article. I see so much misinformation about “Section 1031 Exchange” on the internet, and it is refreshing to see one that is totally accurate. Michael Lantrip, Author of “How To Do A Section 1031 Like Kind Exchange” on Amazon.com. Thanks Michael! Appreciate the kind words. It’s really a great option for investors and we love sharing!